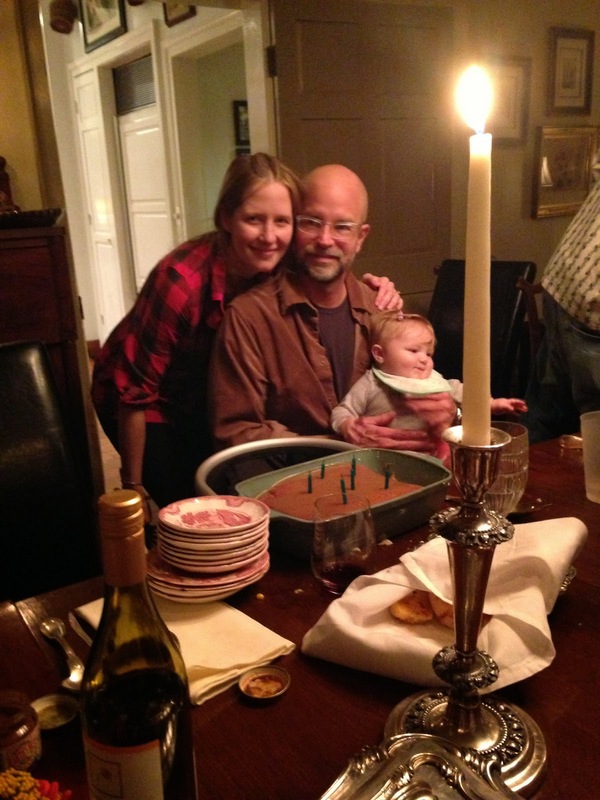 HILLSTEADING: a fall weekend + a big birthday! a fall weekend + a big birthday! This weekend ushered in another year for Jim (happy birthday husband!) and also fall weather, which seems like it's here to stay. It was an easy and slow weekend until last night, when we had a (spoiled by Ellis) surprise party at Lee's! After, we had warm beef stew at our neighbor's house and Jim blew out birthday candles. Luca took a long afternoon nap and I got started on the cake, a delicious caramel one with double icing, per the birthday man's request. Okay! I loved waking to DAYLIGHT on Sunday morning! I may not have been a fan of daylight-savings in the past, but I love it in this year of baby. Jim picked up Ellis and we spent time outside visiting neighbors and our chickens, then came home to finish the cake. That afternoon, Luca took the greatest baby nap and then we went for a short run to look at the falling leaves while the boys went to on a mule-drawn hayride at a friend's house. Amazing big day celebrations. Just loved this cute baby. Few days back went to my friend’s baby birthday party at one of local NYC venues. It was very fantastic and all preparations were done fabulously. Had a great time there.